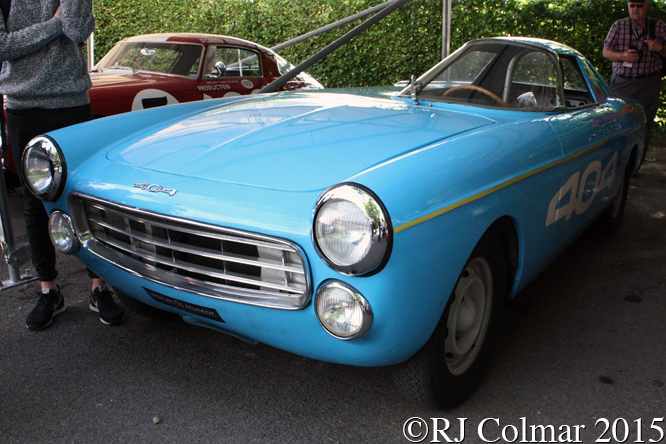 The Pininfarina styled Peugeot 404 was launched in 1960 and by 1964 it was available with 4 different body styles and a 63hp diesel engine option. 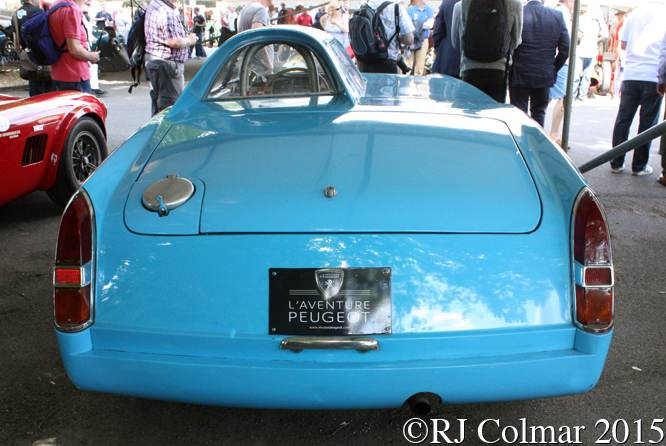 In 1965 Peugeot built today’s featured single seat 2163 cc / 130 cui 4 cylinder diesel powered 404 prototype to help publicise the capabilities of the at the time relatively under used, outside the commercial vehicle arena, alternative to petrol. In June 1965 Peugeot took the car to Montlhery outside Paris and set a new 5,000 km / 3106 mile diesel record by averaging 99 mph. 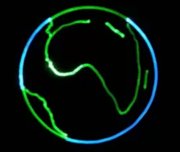 One month later the motor was replaced with a smaller 1,948 cc / 118 cui 4 cylinder diesel and the car was driven at an average speed of 100 mph for 11,000 km / 6,835 miles around Montlhery, in all the record breaking car captured 40 world diesel records. A 1965 group test of diesel powered cars from Peugeot, Mercedes Benz and Austin showed the 63hp diesel Peugeot comfortably out performed it’s competitors in every area except fuel consumption at which the Austin was the more miserly. 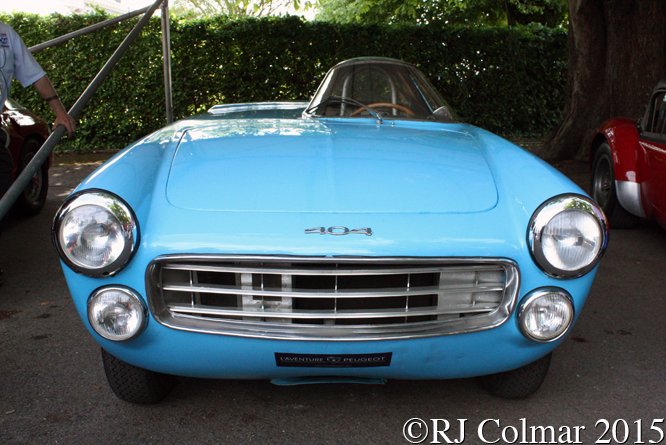 The 404 Diesel which still belongs to Peugeot is seen in these photographs at the Goodwood Festival of Speed. Thanks for joining me on this “Diesel Record Breaker” edition of “Gettin’ a li’l psycho on tyres” I hope you will join me again tomorrow when I’ll be looking at all 11 Super Saturday winners at this years Silver Jubilee Silverstone Classic. Don’t forget to come back now ! 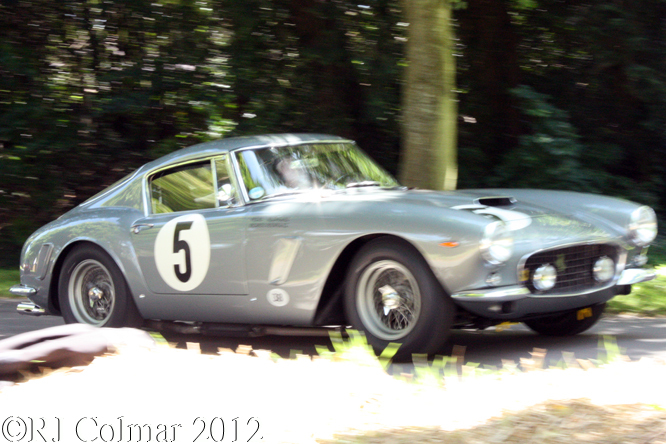 This entry was posted in Uncategorized and tagged 404, Colmar, Diesel, Festival of Speed, Goodwood, Montlhery, Peugeot, Psychoontyres, Ralph, Record on August 11, 2015 by Ralph. Aston Martin Motors Ltd was formed in 1926 by the Charnwood family from the remnants of Bamford & Martin who had originally created the Aston Martin marque. The new company moved to Feltham on the outskirts of London and under the direction of A C Bertelli a new 1.5 litre / 91 cui single overhead cam motor was developed that would be the foundation stone of a great deal of track success. The new company moved to Feltham on the outskirts of London and under the direction of well known racing driver A C Bertelli a new 1.5 litre / 91 cui single overhead cam motor was developed that would be the foundation stone of a great deal of track success. 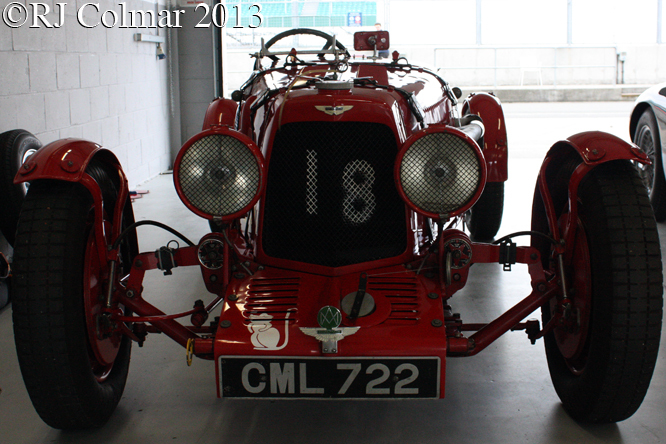 From 1928 to 1936 Aston Martin built a series of 21 1.5 litre / 91.5 cui racing cars with light weight aluminium bodies on production based Mk II chassis for use by the works team with the chassis numbers LM1 trough 21, all bar one of of these cars still exist and are known by various different names according to when they were built. 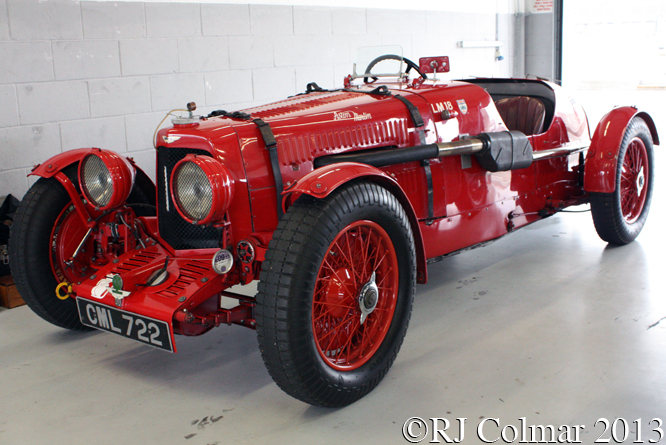 In 1931 AC Bertelli and Maurice Harvey shared a 1.5 litre / 91.5 cui Aston Martin at Le Mans and won their class driving #LM7, when the model was known as an International. 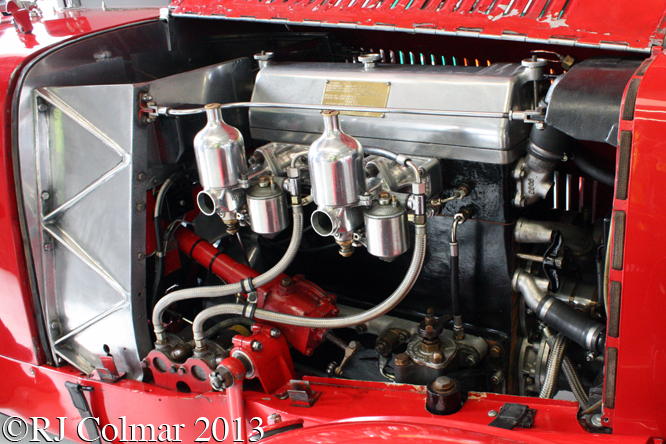 Sammy Newsome and Henk Widengren repeated the feat in 1932 with the “Le Mans” model chassis #LM10 equaling the 5th place overall of Bertelli and Harvey, amazingly in 1933 Aston Martin’s Pat Driscroll and Clifton Penn – Hughes also finished a class winning 5th overall, all though this time the finished one spot behind a Riley in the 1.1 litre / 61.6 cui class. 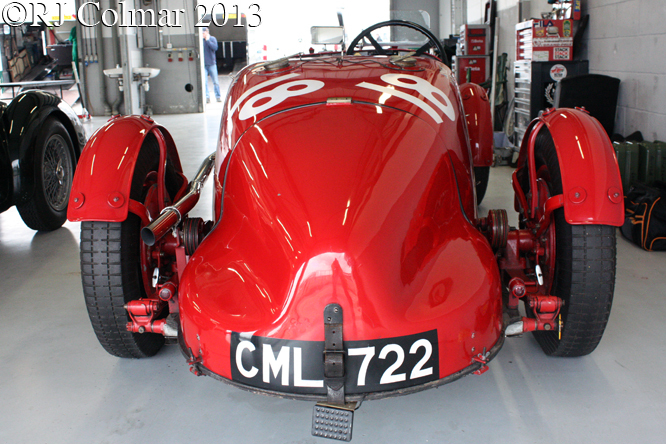 Despite completing the same 188 laps as in 1933 the best Aston Martin, the now privately entered chassis #LM10 driven by Reggie Tounge and Maurice Faulkner could only finish tenth in 1934, behind four Riley’s, two of them from the smaller class, a smaller class winning MG K3 and two 1.5 litre / 91.5 cui Singers. After the debacle Bertelli, who was born in Italy but only lived their until he was four, ordered the works team cars to be painted red to change their luck. At the Tourist Trophy run over the Ards closed road course outside Belfast Ulster the three red team cars; LM16 driven by Thomas Fotheringham-Parker, LM15 driven by Pat Driscoll and LM17 driven by Clifton Penn Hughes finised 3rd, 6th and 7th respectively and won the team prize after which the LM series subsequently took their name. 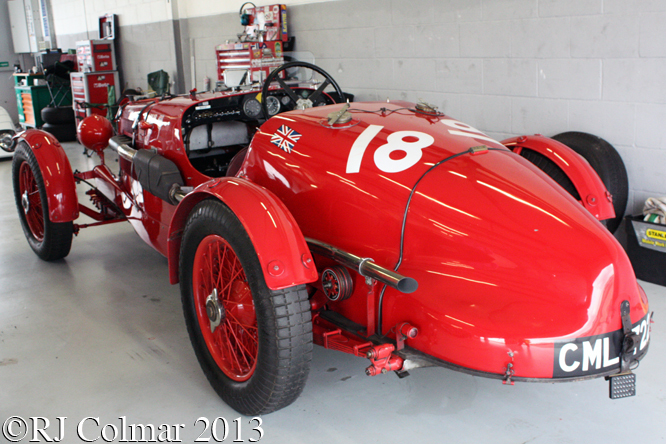 Today’s featured car LM18 was built for the 1935 season an was driven at Le Mans by Jim Elwes and Mortimer Morris-Goodall to a distant 12th place finish overall. 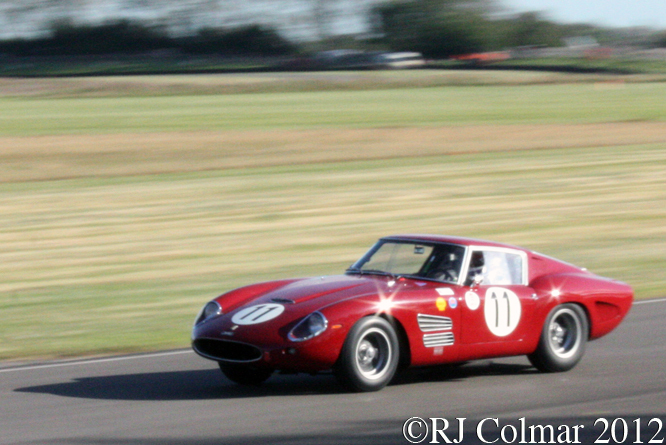 Charles Martin and Charles Brackenbury in the sister LM 20 finished 3rd overall to reclaim the 1.5 litre / 91.5 cui class award for Aston Martin. Four team cars appeared at the 1935 Tourist Trophy three of which finished 4th, 5th and 11th to again claim the team prize, Clifton Penn-Hughes drove LM18 to 5th 1 second behind Charles Brackenbury driving LM20. Aston Martin switched it’s attention to racing new 2 litre models in 1936, with the works cars continuing to be given LM chassis numbers, Le Mans was cancelled due to nationwide workers strikes, but the new cars were raced elsewhere alongside privately entered 1 1/2 litre Ulsters. 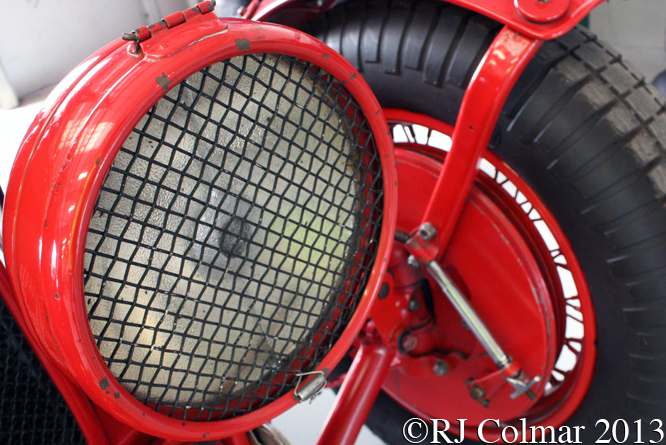 Frenchman Victor Polledry had acquired LM18 by 1937 and continued to race it up until the out break of war in 1939, scoring a known best 3rd place overall, 1st in class, in the Bol d’Or run at Montlhéry outside Paris in June 1938. 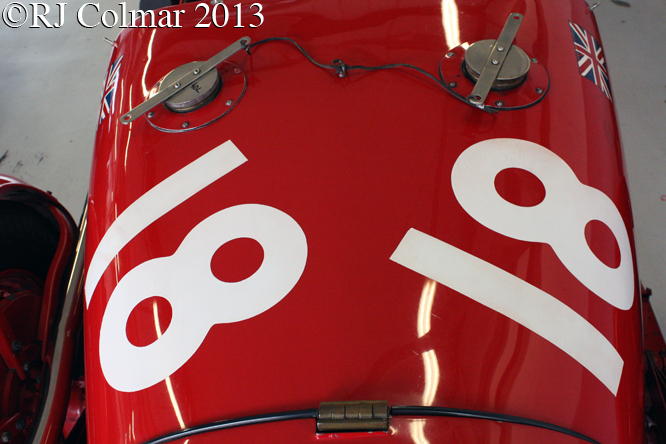 Victor raced the car on at least one occasion after the ’39 – ’45 war recording a 15th place finish and class victory, driving solo, in the Paris 12 Hours run at Montlhéry in July 1950. 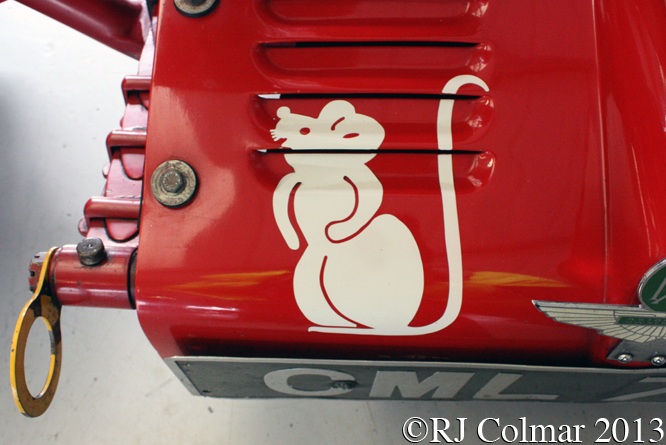 Some of you may have noticed the white mouse painted on the front of LM18, when I saw it I, incorrectly, assumed it signified some in period connection with Prince Bira and his patron HRH Prince Chula of Siam who ran the White Mouse Stable. It turns out that HRH Prince Chula of Siam did buy a factory built replica 1 1/2 litre Aston Martin Ulster, chassis #G5/588/U, for Prince Bira to race in the 1935 RAC TT where he retired with a broken oil pipe. 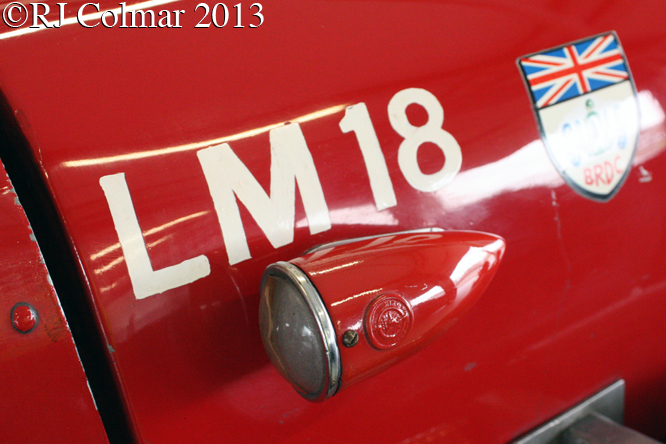 Thanks to Tim Murray, Roy C and Alan Cox at The Nostalgia Forum it transpires that the reason that LM 18 carries The White Mouse is most likely because LM 18 now owned by Nick Mason’s family has occasionally been teamed up with the original #G5/588/U owned and raced by Hubert Fabri for relay races at vintage meetings. My thanks to Tim, Roy and Alan for their help in solving the White Mouse Mystery. Thanks for joining me on this “White Mouse Mystery” edition of “Gettin’ a li’l psycho on tyres”, I hope you will join me again for a look at another Aston Martin tomorrow. Don’t forget to look back now ! 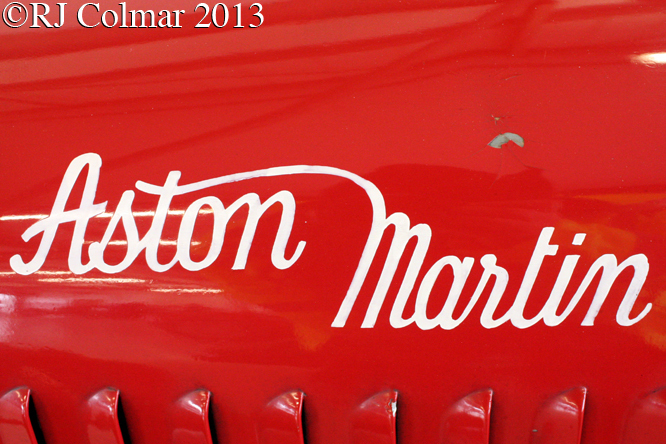 This entry was posted in Uncategorized and tagged Ards, Aston Martin, Bertelli, Bira, Charnwood, Chula, Colmar, Elwes, GALPOT, Le Mans, LM 18, Montlhery, Morris-Goodall, Penn Hughes, Polledry, Ralph, Silverstone, Ulster, White Mouse Stable on September 7, 2013 by Ralph. 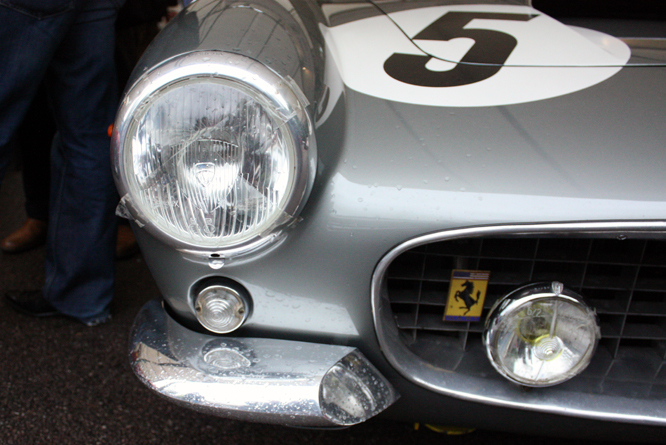 Today’s Ferrari started life as a 250 GT SWB (Short Wheel Base) Competizione chassis #2445GT in 1961, it was supplied to Garages Francorchamps in Belgium. 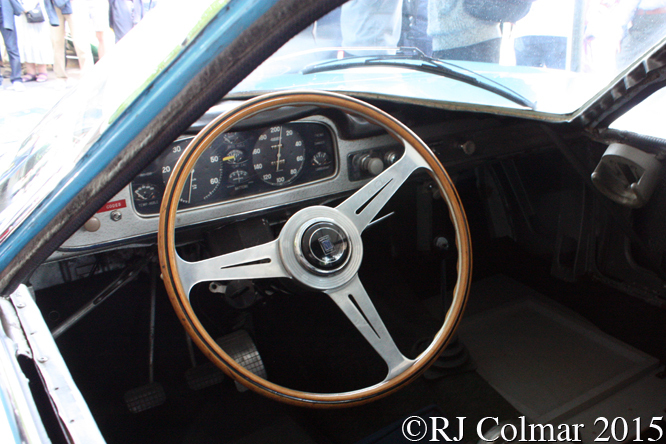 Jacques van den Haute drove the car competitively at least three times between May and June 1961 with two 3rds in hillclimbs being his best results. From July 1961 to May 1962 Robert Crevits drove the car competitively in at least 14 events mostly hillclimbs and is known to have won eight of them. Gustave Gosselin shared the car with Robert in the 1962 1000km Paris, Montlhery where they finished 11th and drove the car alone to a second place finish in an event run at Zandvoort in the Netherlands. Georges Berger and Robert Darville shared the driving of 2445GT in its last in period race the 1962 Le Mans 24 hours where the car was heavily damaged at the sharp right hand corner Arnage and retired. 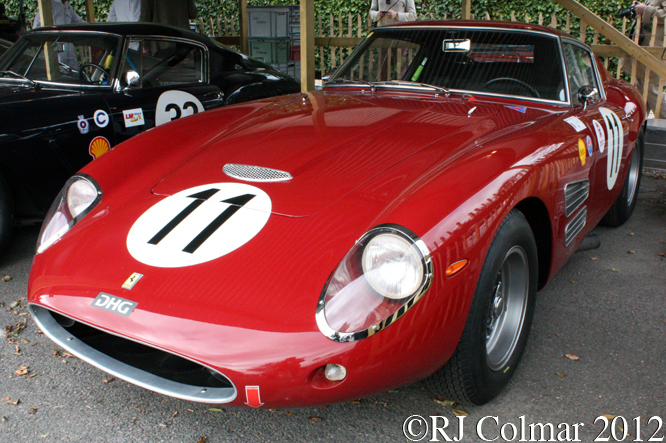 The #2445GT was subsequently repaired by Piero Drogo who fitted the body that is seen on the car in these photo’s, the car was renumbered 1965GT for ‘customs reasons’ during the early 1960’s and for a while in 1964 it was one of several Ferrari’s owned by Nebraskan garage owners son James Coburn. 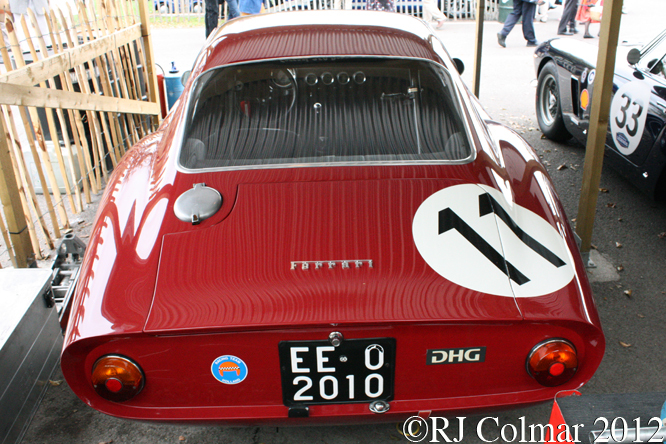 In the late ’70’s #2445GT returned to Europe and is currently owned by Dutchman Hans Hugenholtz who entered the #14 in the 2011 Goodwood Revival meeting for David Hart and Maserati GT racer Micheal Bartels. Last year Hugenholtz shared the driving at Goodwood with one of former New York taxi driver and Indy champion Danny Sullivan. Thanks for joining me on this “Le Mans to Hollywood edition of “Gettin’ a li’l psycho on tyres” I hope you will join me again tomorrow. Don’t forget to come back now ! 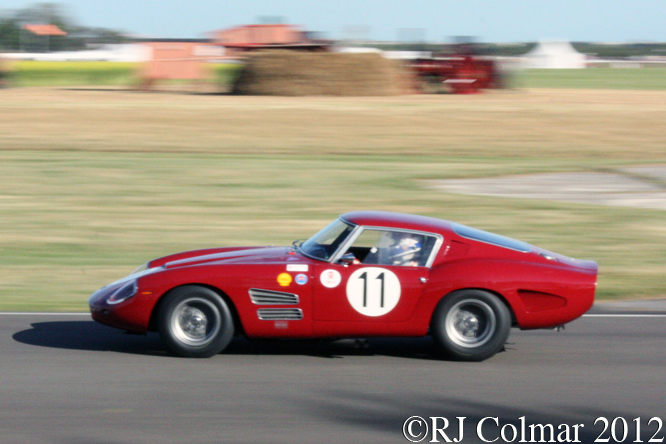 This entry was posted in Uncategorized and tagged 250 GT, Arnage, Bartels, Berger, Coborn, Colmar, Competizione, Crevits, Darville, Drogo, Ferrari, GALPOT, Goodwood, Gosselin, Hart, Hugenholtz, Le Mans, Montlhery, Ralph, Revival, Sportscar, Sullivan, SWB, van den Haute, Zandvoort on June 7, 2013 by Ralph. 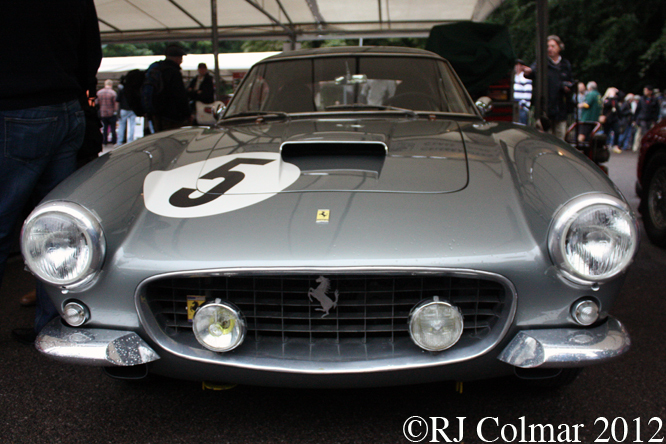 In 1961 Luigi Chinetti ordered today’s Ferrari 250GT SWB Berlinetta Compitizione chassis #3005GT and entered it in the Paris 1000kms race held at Montlhéry for the Mexican brothers Pedro and Ricardo Rodriguez to drive. The results of qualifying are not known however the result was an emphatic win for the Mexican’s by thirty seconds over the 250 GT SWB of Willy Mairesse and Lucien Bianchi, infact the first five cars to finish the race were all 250 GT SWB’s including chassis #2729GT driven by Pierre Dumas and Jo Schlesser which featured last weeks Ferrari Friday blog. 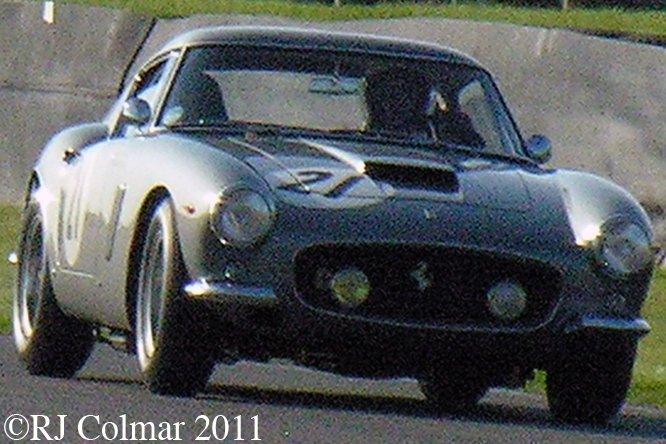 Ricardo Rodriguez was also credited with fastest lap at Montlhéry, having impressed Enzo Ferrari a couple of weeks earlier at Monza with a front row qualifying spot Ricardo was given a works contract for 1962 and continued to impress despite being just 20 years old with a string of good results including a win in the 1962 Targa Florio sports car race where he co drove a Ferrari 246SP with Olivier Gendebien and Willy Mairesse. Tragically Ricardo was killed in practice of the 1962 non Championship Mexican Grand Prix driving a Lotus for Rob Walker after Ferrari had declined to enter the race. Older brother Pedro was equally talented particularly in the rain and behind the wheel of big sports cars like the Gulf Porsche 917, Pedro won two Grand Prix first in the 1967 South African GP where he drove a Cooper Maserati and the 1970 Belgian Grand Prix where he drove a BRM P153, recording a record average speed for any Grand Prix at the time of 149 mph. Like his brother Ricardo Pedro died at the wheel in 1971 at the Norisring where he drove a Ferrari 512M chassis #1008 that burst into flames after an accident. 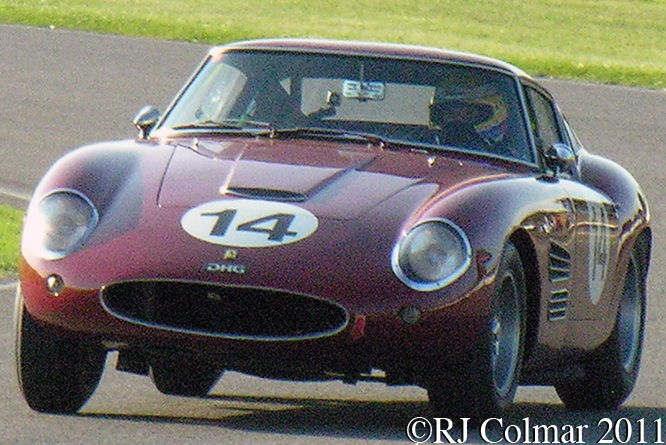 Today’s featured car meanwhile was sold to Doug Thiem for the 1962 season and he is known to have driven it in at least 14 further US sports car races winning outright at Erkhart Lake / Road America in September 1962. #3005 stayed in the US until 1980 when Italian Pietro Brigato acquired the car and entered it into classic events in Italy and Germany. 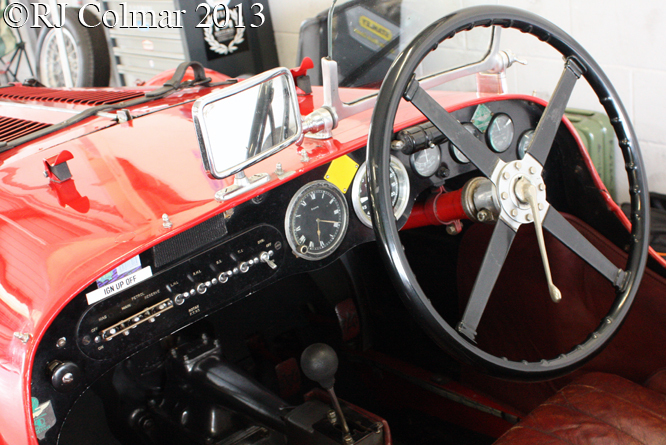 In 2011 Lukas Hueni, acquired the car and can be seen at the wheel in the top photo at the 2011 Goodwood Revival and in the bottom photo at the 2012 Goodwood Festival of Speed. Thanks for joining me on this “Pedro y Ricardo ” edition of “Gettin’ a li’l psycho on tyres” I hope you will join me again tomorrow. Don’t forget to come back now ! 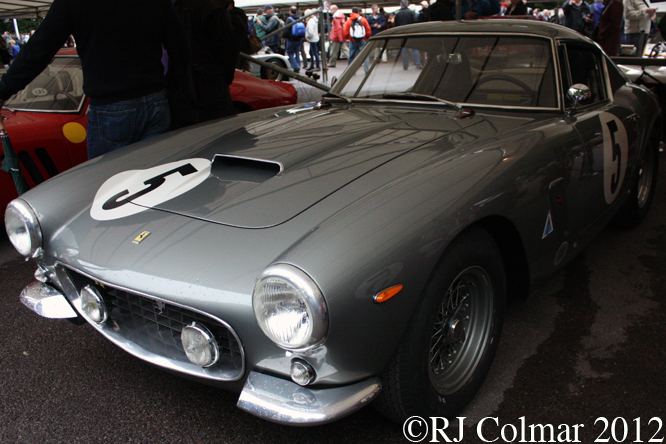 This entry was posted in Uncategorized and tagged 250GT, Berlinetta, Brigato, Chinetti, Colmar, Compitizione, Ferrari, Festival of Speed, GALPOT, Goodwood, Hueni, Montlhery, Pedro, Ralph, Revival, Ricardo, Rodriguez, SWB, Thiem on February 8, 2013 by Ralph.